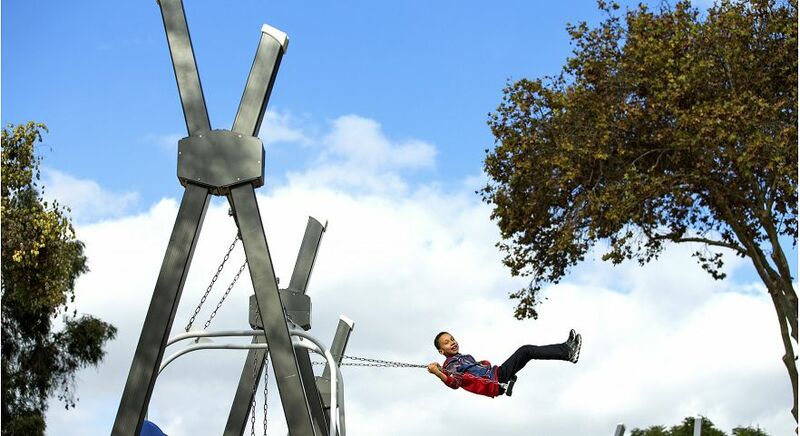 Modern City is inspired by the architecture of great cities around the world. 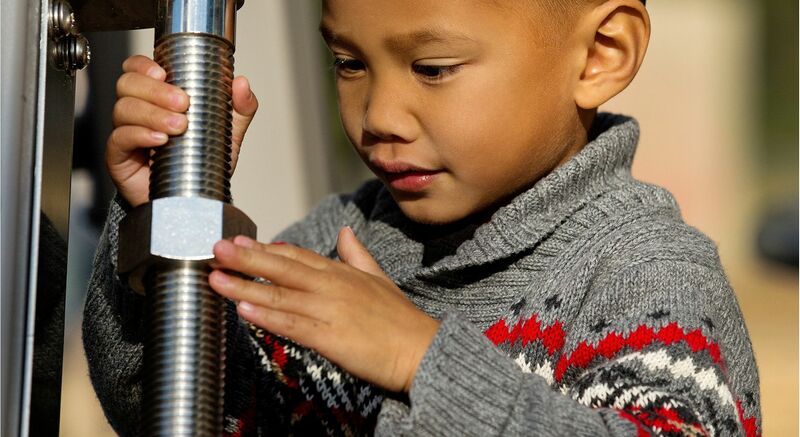 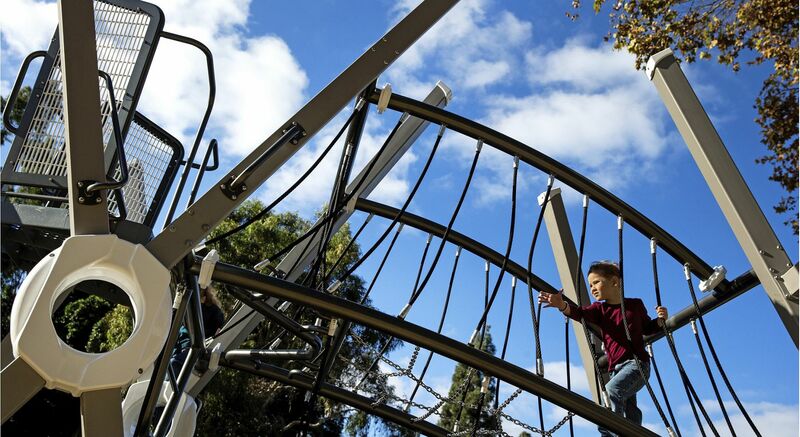 With towering steel uprights, suspension bridges and multiple climbers at varying degrees of difficulty, Modern City is a fun and challenging play system for children who want to take play to the next level. 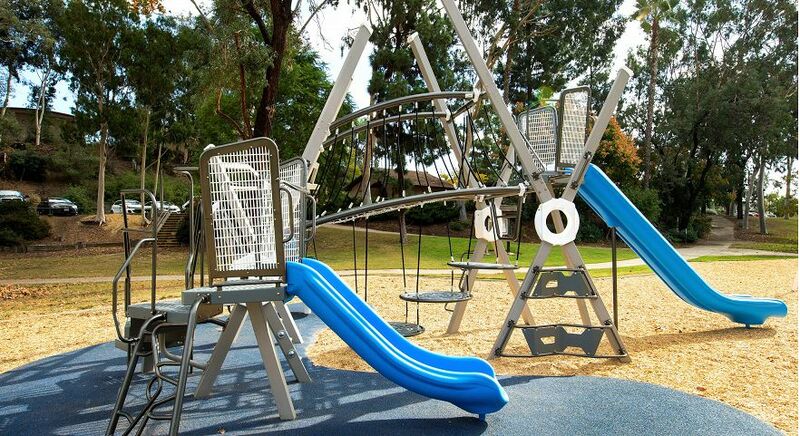 All steel construction and all-steel component options make this a durable, low maintenance product for high-use areas, and it's backed by the industry's leading warranty. 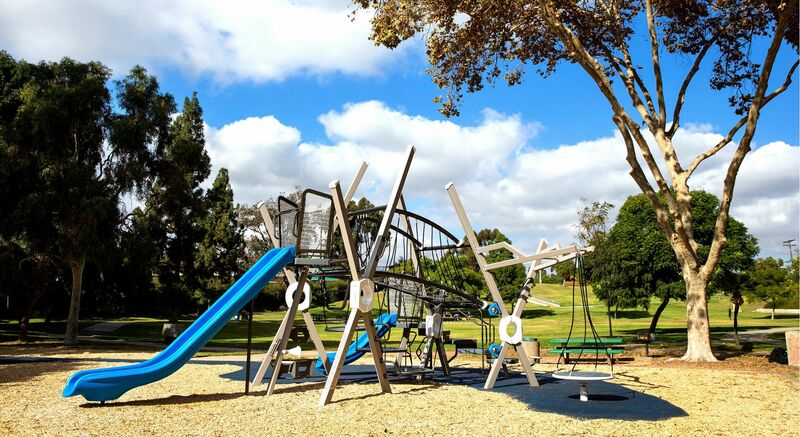 The community of La Mesa (outside of San Diego), California wanted to add a new play experience to LaMesita Park. 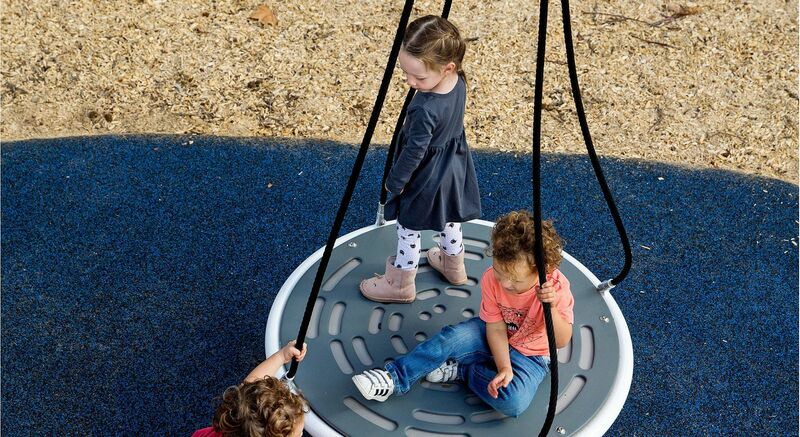 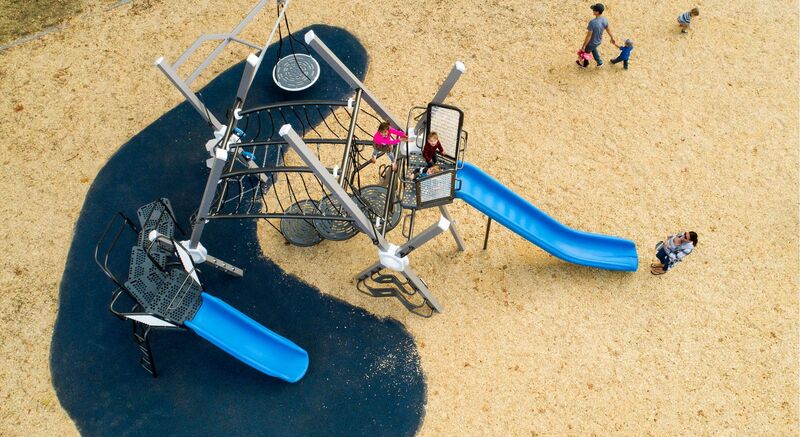 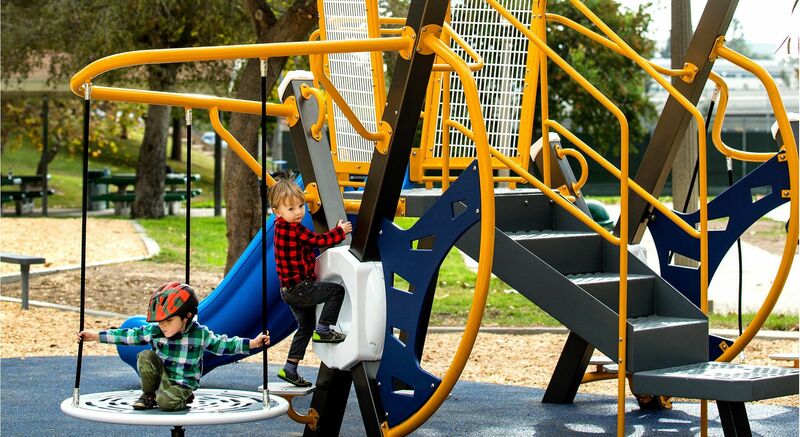 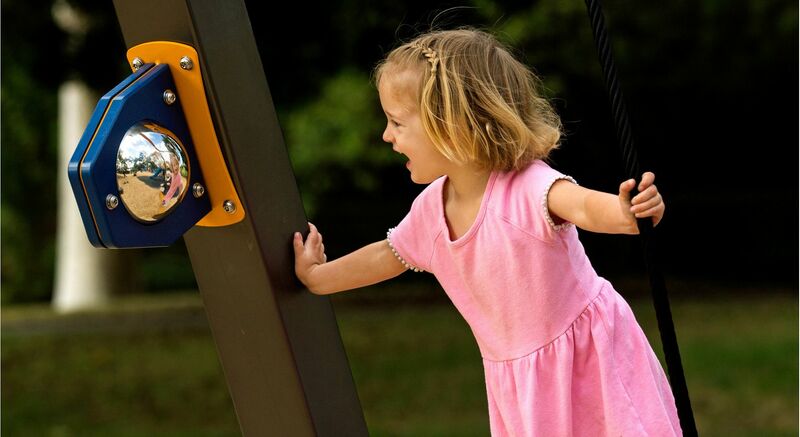 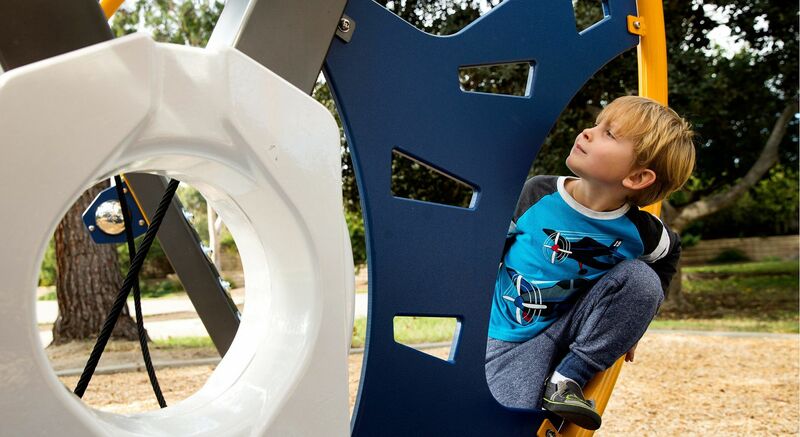 It was important to have distinct play areas to address the play styles of children ages 2 to 5 and ages 5 to 12, and to provide fun and challenging climbing experiences for all. 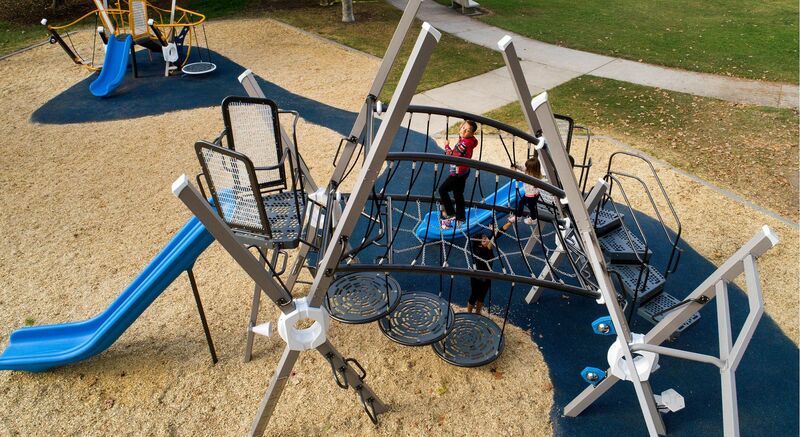 Modern City is designed to climbed on, through, in and around. 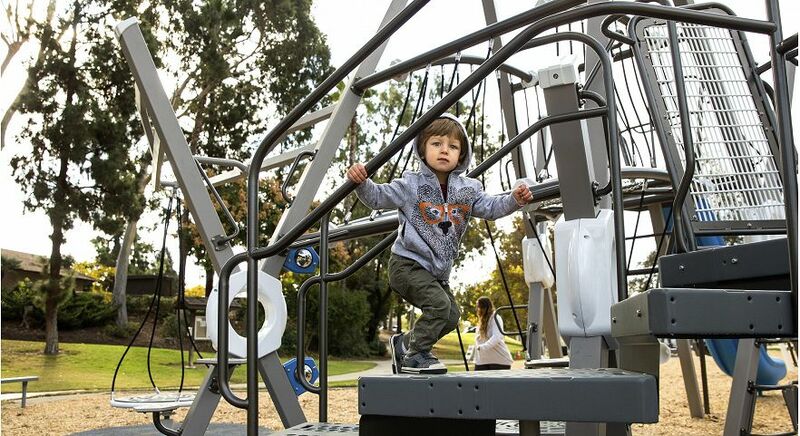 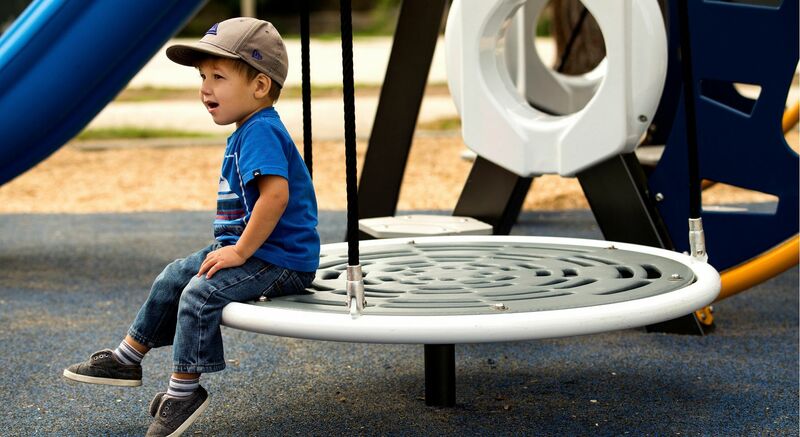 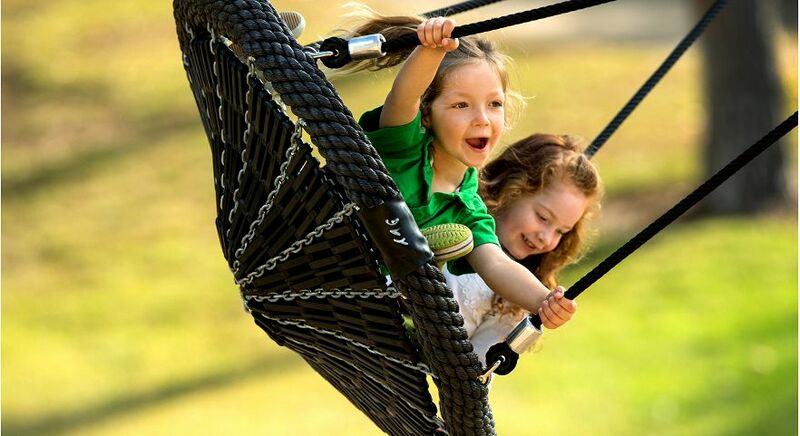 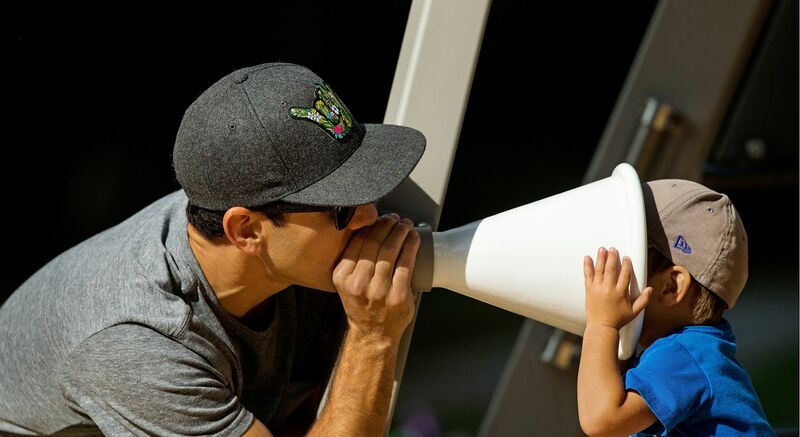 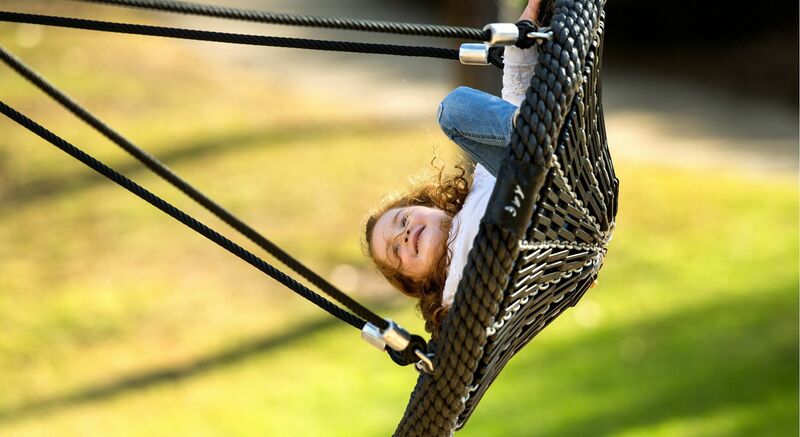 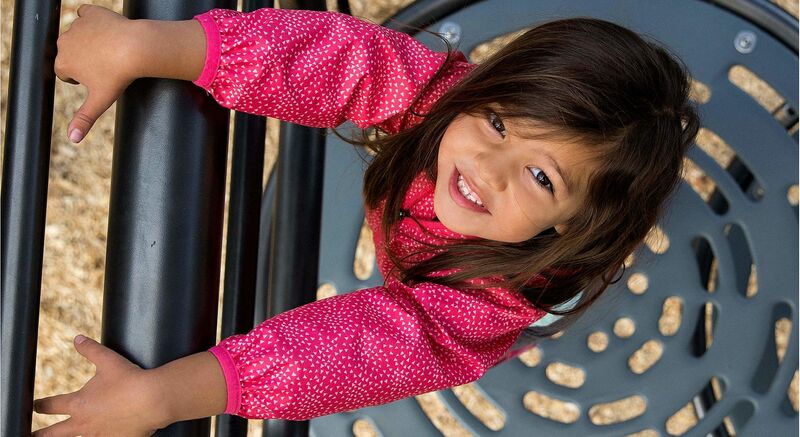 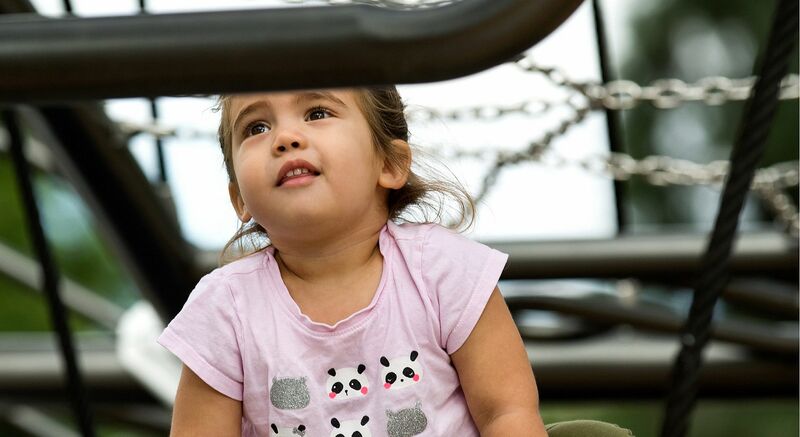 Along with complentary swinging activities the Modern City play experience is truly a one-of-a-kind destination for children and families in La Mesa.